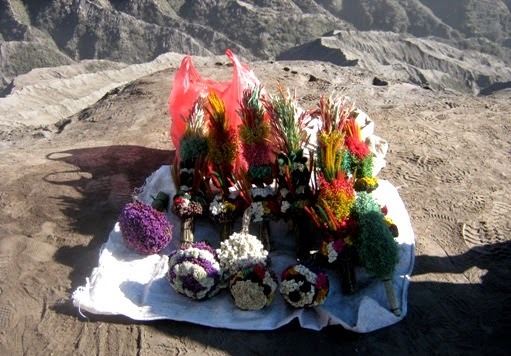 Around the Bromo peak (East Java, Indonesia), I saw the seller of edelweiss flowers. I wasn’t attracted to buy as these mountainous flowers shouldn't be picked and sold. Seeing them growing naturally is much better, right? These flowers are all so delicate and pretty. They are all eidelweiss? I am surprised at the colour because I always thought the flower was just white. Yes, I agree, it is preferable to respect those flowers in their natural environment!